Ladies Night Drink Specials on martinis & glasses of wine until 9pm! Stick around for the Latitudes STAR! Karaoke Contest! 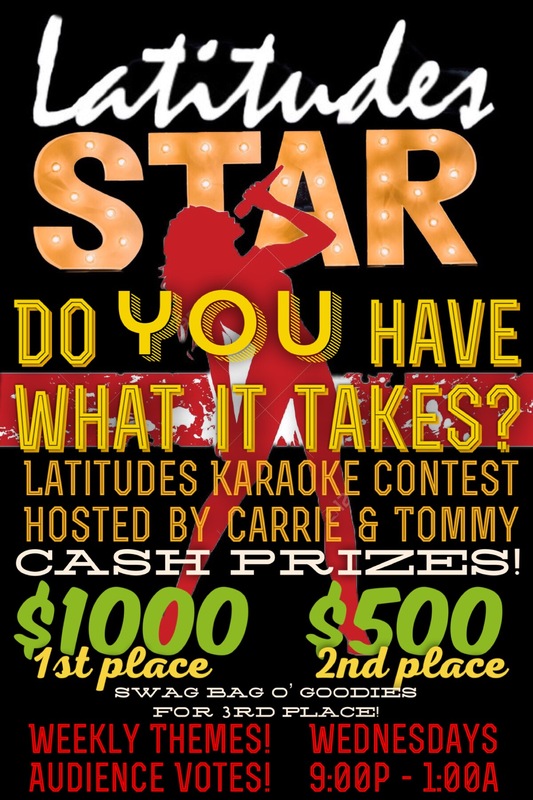 Singers compete for BIG cash prizes! New song themes each week, and audience members get to vote for their favorite singer!